The cemetery was surveyed in 1849 and a plan for the layout established. The cemetery has three major areas - the memorial section, the lawn section and the memorial rose garden area. The following plan will provide a general overview of the cemetery design. 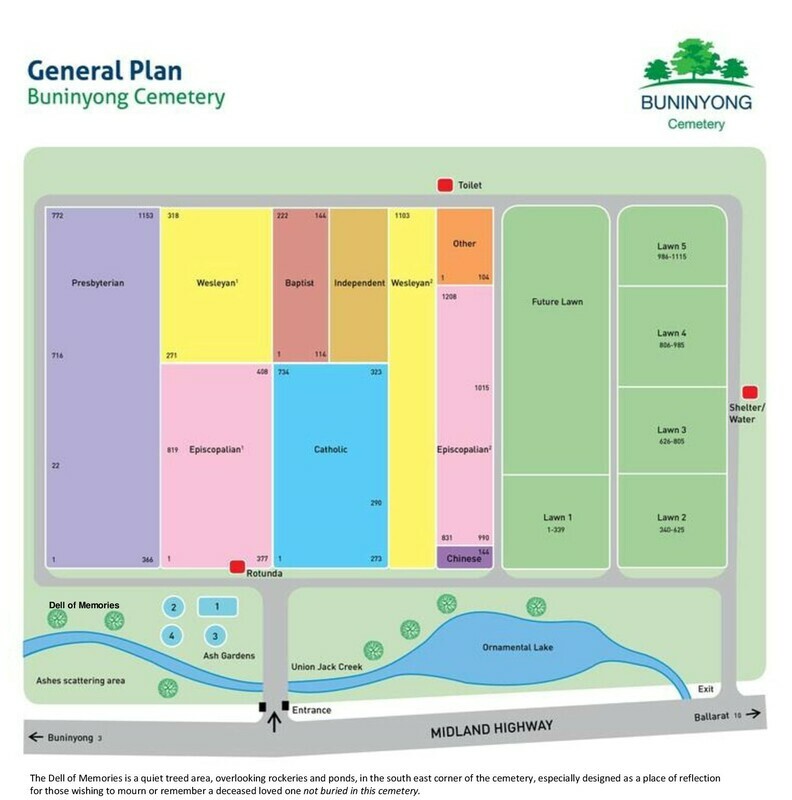 A more detailed plan of the cemetery is available at the Buninyong Information Centre in the Old Buninyong Library.